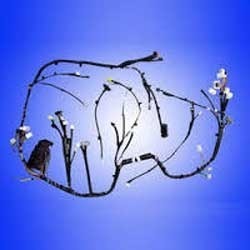 We are deeply involved in offering best Power Control Center Wiring Harnesses. We provide a precision engineered range of Home Appliance Wiring Harness, which is widely used in automobiles for auto electrical, ignition system, battery cables, washing machines, refrigerator, air conditioners, television, microwaves etc. It can be customized as per the specific requirements of our clients and is offered at industry leading prices. Aluminium is used in a myriad of household and electrical appliances because of its light weight, excellent appearance, adaptability to all forms of fabrication and low cost of fabrication.